Cold, clear winter skies offer the best sights for naked eye, binocular and telescope observing, so wrap up and get out there. 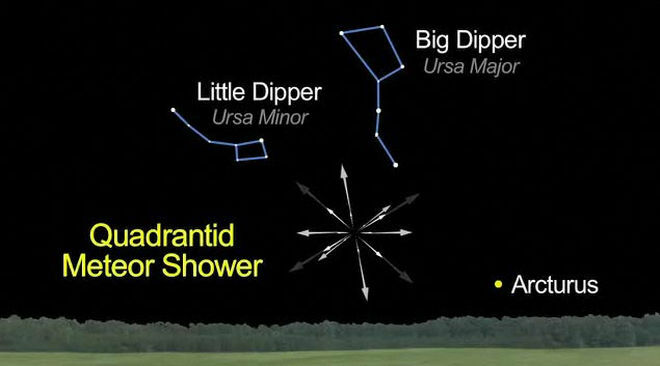 2-4th January look out for the peak of the Quadrantids, a meteor shower radiating from just below the Ursa Major constellation. 11th January Earth is at perihelion, the point during its orbit that is closest to the Sun, only 147,101,082km or 0.98AU. 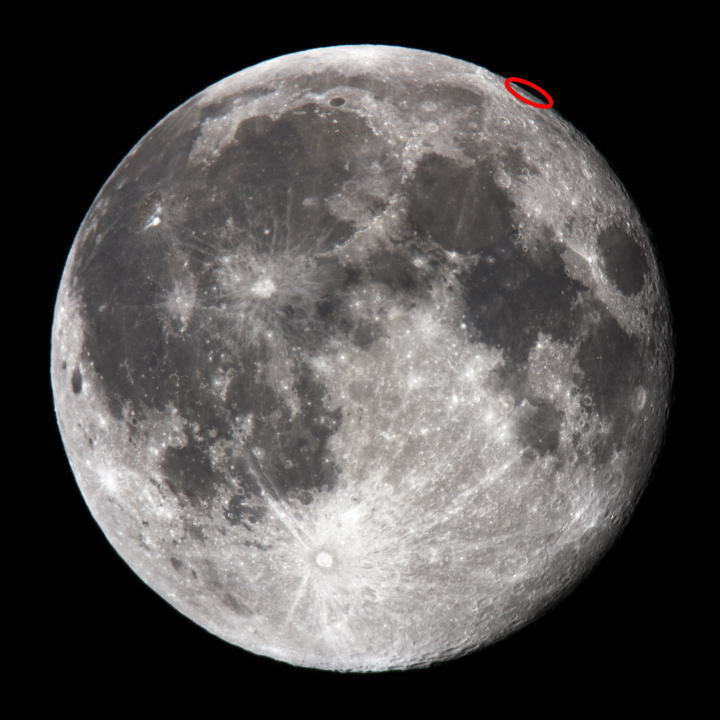 11-13th the Moon shows a little more of its surface due to ‘libration’ allowing observation of features on the northeast lunar limb, look for the area around Mare Humboldtianum. Observing on the 12th, allows the opportunity to see the brightest planet Venus alongside the dimmest Neptune, (with less than a full moon’s diameter between them). Neptune is so far away that binoculars at least will be needed, preferably a telescope. All month, beautiful Venus at a magnitude of -4.3 to -4.6 graces our skies, reaching it’s point of greatest eastern elongation. For those who like a real challenge, using binoculars or a telescope look out for W Orionis, part of Orion the hunter constellation, it is a small, cool temperature carbon star, with the blue wavelength light absorbed, it appears a deep red! Posted by plandsscience on January 2, 2017 in Astronomy, science and tagged ESA, NASA, sky at night.